With all of modern supposed advances, most of the people, when asked how they are, seem to reply that they are ‘tired, stressed, exhausted, anxious etc’. A sign that not all is right in our universe I would think. Couple that with lack of time and constant announcements of new launches in this or that area of fitness and wellbeing and instead of ‘om’ you are more likely to say ‘oh’. 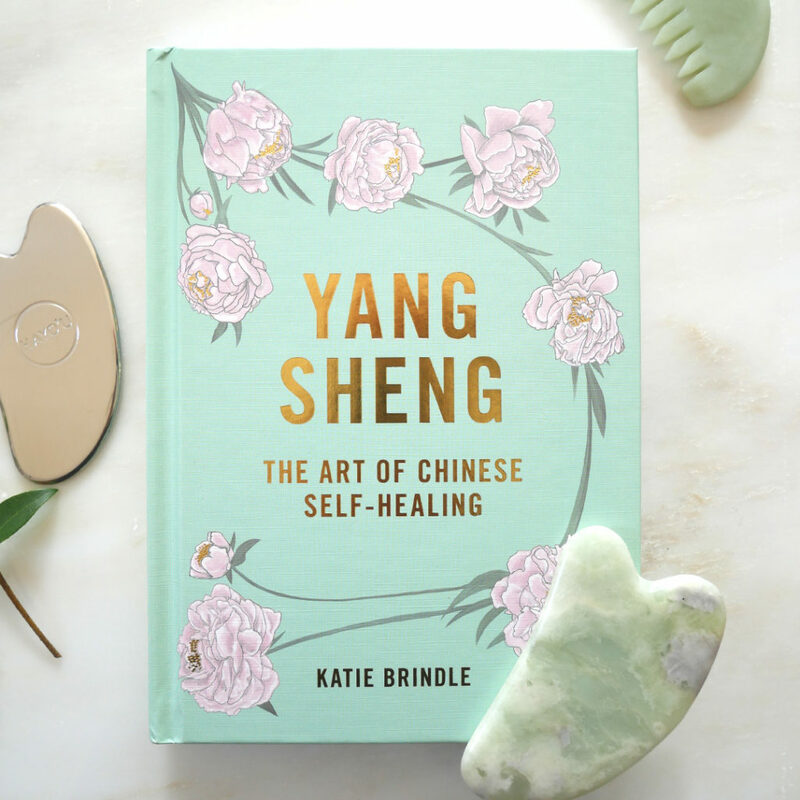 A simple solution, if you need one to that existential crisis, is a first book about Yang Sheng from the practitioner of Chinese medicine Katie Brindle, whose brand Hayo’u Method has been gathering press and bloggers spotlight, as well as awards, and for a good reason. After a car accident that put an end to her dream of becoming an opera singer, Katie turned to alternative therapies to help resolve her health issues. 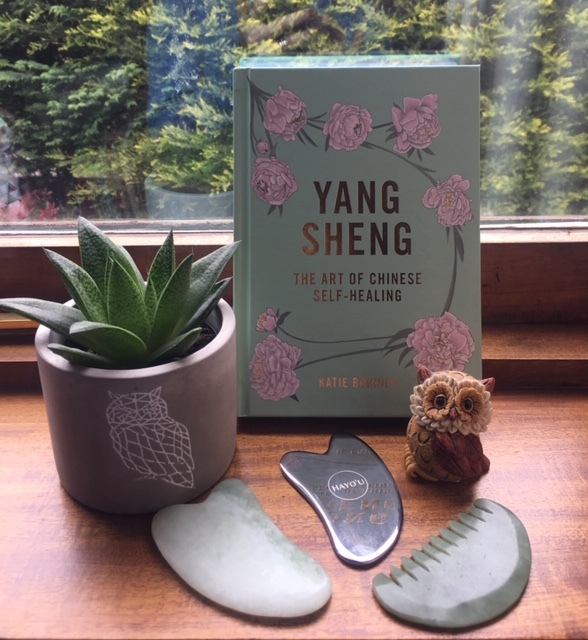 Having discovered the benefits of Yang Sheng, Katie decided to not only study Chinese medicine (she qualified as a Five Elements Chinese Medical Practitioner), as well as massage and reflexology, but also spread the word and raise public awareness of the benefits of Western and Chinese medicine working alongside each other, helping improve health & wellness of individuals. 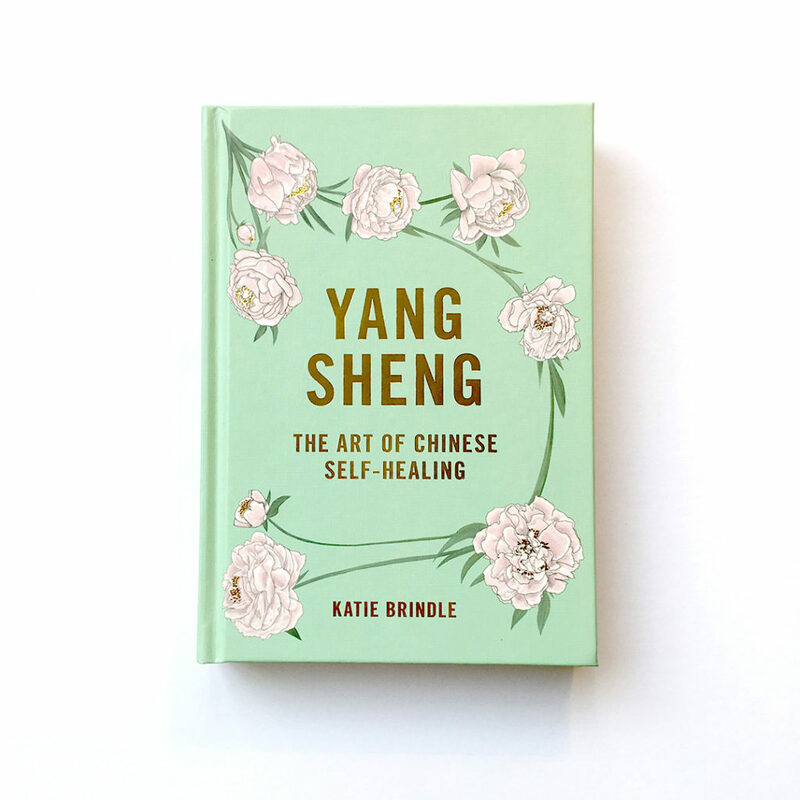 After launching a range of rituals, products and tools, Katie was ready to distill her wisdom and experience into a book and this April Hardie Grant Books publishes ‘Yang Sheng: The Art of Chinese Self-Healing’. If you are already familiar with the Hayou method, the book will compliment and enhance your knowledge and if you are fairly new to Chinese medicine and focussing on your wellbeing, well, this will be a perfect visual manual to act as your daily guide to improving your health, state of mind and inner wellbeing. Yang Sheng is maybe the most important concept in Chinese medicine you’ve never heard of – well, until now that is. It translates as ‘nourish life’ and will help you balance yourself in order to live a better, more rounded life. Chinese medicine is ancient, yet if you ask Katie, she will tell you that it is very much relevant to us all today. Chinese medicine examines how the body works on physical, emotional and spiritual levels, as well as energetically because one of its core principles deems that any disease starts with disruption of energy flow, which initially progresses ahead, before you even notice the symptoms. The beauty of Chinese medicine lies in the fact that you don’t need to understand exactly how and where you are out of balance in order to get yourself back into alignment. All you have to do is learn and understand a few of the ‘right’ things and then incorporate them into your daily lifestyle. What will happen then, is that you will notice that life gradually will flow a bit more smoothly. The book itself is divided into three sections. Part One introduces key principles and ideas from Chinese medicine. At the end of it you will find three key Yang Sheng techniques, which are as quick, as they are effective once you start doing them regularly. Part Two is about putting Yang Sheng into practise. Each chapter in that section of the book focusses on such areas as breath, digestion, exercise, emotions, spirit and skin and introduces simple techniques to allow you to feel balanced & well in yourself from the health perspective. Part Three covers self-healing for the seasons, something that is particularly important in Chinese medicine. So as it is springtime, as you read the book, adapt a few small changes and align with nature in order to feel more like a spring lamb or bunny or even a buzzy bee – whatever is closer to your natural desposition. In order to help you get to know Katie better, I asked her a few questions, hopefully allowing you to understand her mindset, attitude and ideas behind the book. Katie: Thank you so much! I’m so happy to hear that you love it. Having worked with Chinese medicine for many years, I’m constantly amazed at how brilliant it is. I’ve wanted to write this book for so long. It mostly stemmed from the awareness that for most people, Chinese medicine is summed up as acupuncture or herbs. But actually, self-care (yang sheng) techniques make up a whole area of Chinese medicine. Yang sheng is a huge and relatively unknown treasure trove of amazing information that can really change how you feel. 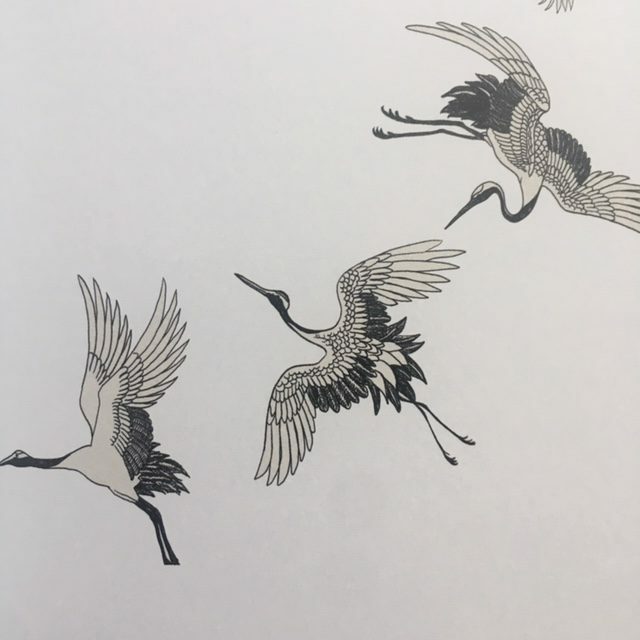 I wanted to create a beautiful and accessible book that could be your starting point into how Chinese medicine works and how you can apply it for yourself, largely for free and in only a few minutes a day. Galina: What are your favourite daily rituals that have the biggest impact on your wellbeing? Katie: That’s an easy one! Breathing, moving and massage. You can live for weeks without food and for days without water, but you can live for only minutes without breathing. This makes breathing the most powerful self-healing cure we have. It is at once so profound, so subconscious and so crucial to our very existence. Yet we barely use it to our advantage. Chinese wisdom places huge importance on breathing because it is one of the two major ways we create quality qi. Your qi (or energy flow) is linked to your circulation. When you stimulate your blood flow or move your lymphatic fluid, your qi is also stimulated. Everything flows together. The channels in which qi flows are called meridians. According to Chinese medicine, the quality and movement of qi through the body determines your health. The ideal state is one of smooth flow with no imbalances or blockages, which are called stagnation or stagnant qi. If you have continued stagnation, whether physical, emotional or spiritual, Chinese medicine say this will eventually manifest as disease. Getting your circulation moving every day is a great and simple way to boost flagging energy, release stored tension, stimulate lymphatic drainage and boost immunity. I’d start by simply shaking all over, just shake everything out. Start gently and build up, listening to your body about what feels good. Follow that up with a basic qigong exercise called Lifting the Sky. It’s in the book! It’s so important to have pleasure every day. And that’s what I love about gua sha. It’s unbelievably beneficial, yet feels so good that you’ll be only too happy to make it part of your daily routine. 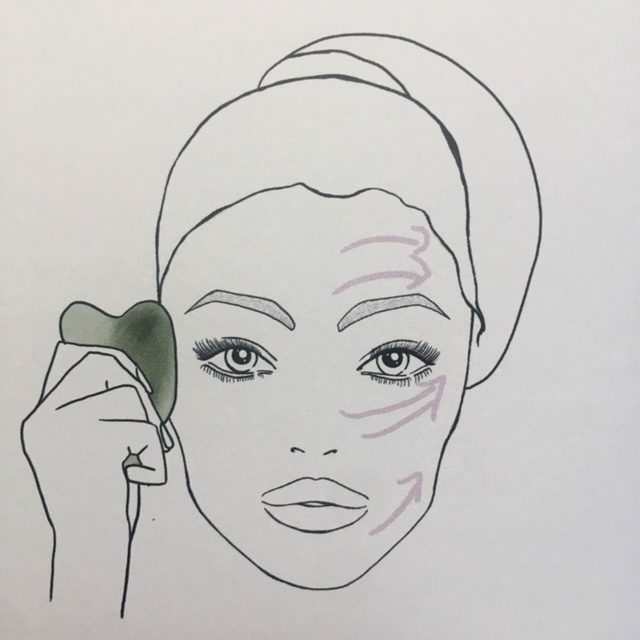 Gua sha is a type of therapeutic massage technique that you can do on yourself using a round-edged tool. It’s been widely practised in China for thousands of years. ‘Gua’ means to scrape or rub, whilst ‘sha’ describes the temporary rednessthat results. Gua sha was traditionally given by family members or friends for all sorts of health problems. It was also considered good for the prevention of illness. It’s said to maintain and strengthen your constitution, increasing your longevity.These things are all so simple you can do them in 3 minutes a day -and that’s why I love them, I build them into my day in the same way as brushing my teeth. Galina: Do you vary them seasonally? 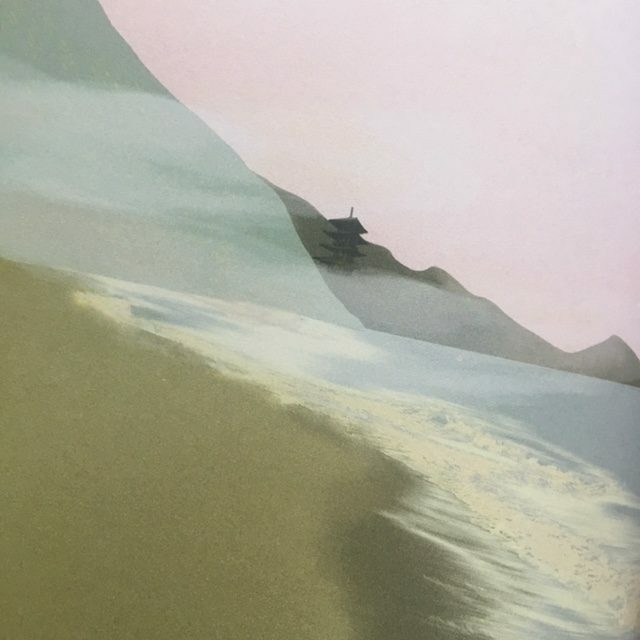 Katie: These ones no, but the third section of the book is devoted entirely to how yang sheng is applied to the seasons. Galina: We all seem to be suffering from increased multi-tasking demands and borderline social media addiction – how do you balance the need to promote your business with keeping yourself well, healthy and happy? Katie: Discipline is key – which is what the masters have been teaching for thousands of years anyway. In the past, we had limitations imposed upon us through economic or social circumstances. Now this is no longer the case, more than ever, we need to set our own limitations and decide what’s right for us in terms of what we consume, how we behave and how we think. By using yang sheng techniques, we can do this. Best of all they are pleasurable not onerous, which makes them so easy to stick to. Galina: What are your own pillars of health & wellbeing & what wellness habits are you instilling in your own children? Katie: I see this as two basic areas: yourself and your relationship to the world around you. Ourselves: We all practice the basic qigong and breathing exercises every day. We try and avoid the “4 whites” as much as possible in our diet (sugar, wheat, dairy and salt). We spend time in nature as much as possible. The world around us: We limit our plastic consumption and aim to recycle everything – if it’s not recyclable we try not to buy it. We aim to eat cruelty free. We have family charities we are actively involved in. That said, I follow my own advice. Get the big things right so you have a bit of wiggle room to enjoy some indulgences. So, I practice yang sheng – but there are definitely birthday cake and mini eggs in our lives, because that’s the world we live in! Galina: Often the approach towards nutrition and wellbeing is quite different in Western & Asian societies – is it because people in Asia are more spiritually evolved? What are the main things that we can draw from the ancient wisdom of China & incorporate them into our daily busy lifestyle? 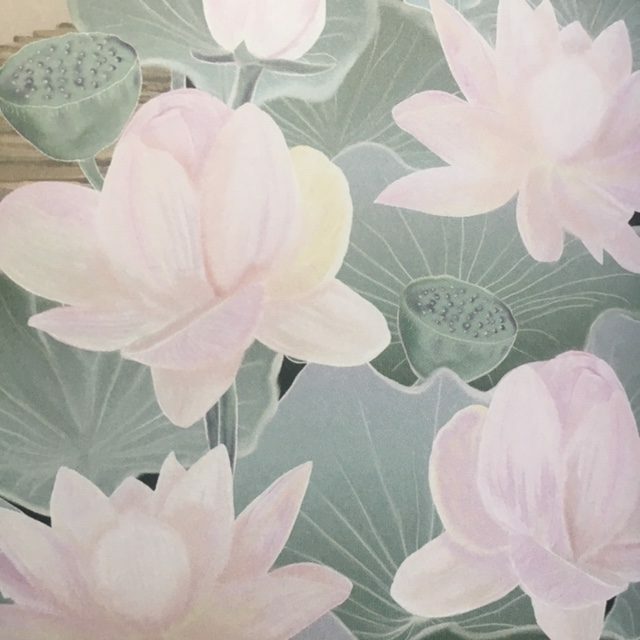 Katie: I think the difference is that yang sheng techniques are still very much interwoven into the fabric of culture in many Asian countries. In Japan and China for example, they’ll have hot thermal baths and really good quality massage that are both commonplace and much more affordable than here. Nutritious street food is readily available. I don’t think this is necessarily because any one culture is more spiritually evolved than another, but I certainly think we have an over reliance upon the belief that our health is the responsibility of practitioners rather than by our own daily practice. This is the fundamental point to take on board. Just like brushing your teeth, practicing a few easy techniques offers not only immediate benefit, but a long term safeguarding to your health. Think of it like this, almost nobody has dentures now, because we all look after our teeth – yet for our grandparents it was normal. We just need to extend the same courtesy to our bodies. What appeals to me as a reader, as well as a busy working mother of two, is that this book introduces simple techniques (my favourite are the ‘chinese smiling breaths, which can be ‘tailored’ depending on your daily emotions, six healing sounds of breath therapy and ‘turning the waist’ and I can’t imagine my evening routine without the facial guy sha & jade comb ritual) that can help you be pro-active when it comes to your long-term health & beauty maintenance. In actual fact, pause for a second and consider what’s better – focussing daily on your wellbeing or ignoring it and ending up searching for a cure to the disease? Ultimately, if you become better equipped to deal with daily challenges without regularly compromising your inner and external wellbeing, that can benefit not only you, but your loved ones as well. A happy, balanced, healthy you, a better balanced is our world! Before I sign off on this post, let me share one more reflection with you. 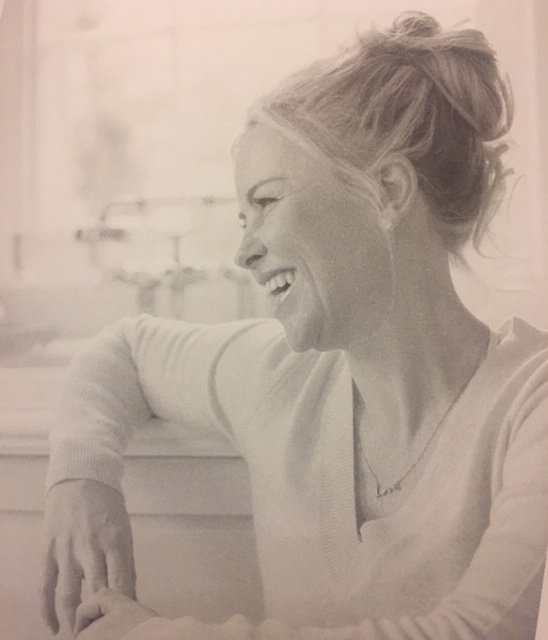 I was lucky to receive an advance copy of Katie’s book in February and since reading it, I keep on returning to its pages from time to time – be it on my yoga mat in the evening, instead of meditation, or in bed, before turning the lights off. The book is akin to a good luck charm and a wise friend, ready to whisper good advice into your ear, when you need it most. And I for one am grateful that it remains within my arm’s reach !